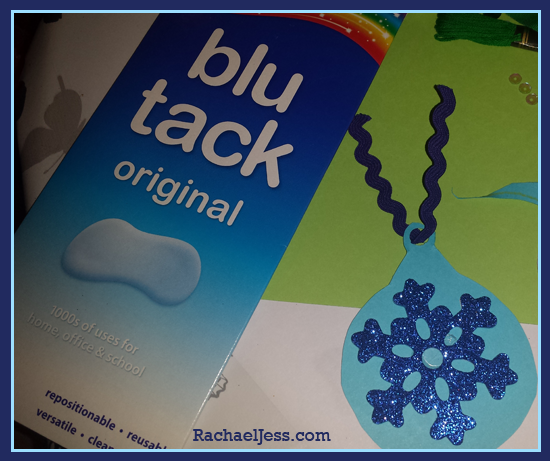 December marks the final month with Bostik Family Craft Bloggers Network 2014 and I've loved being part of this network, receiving goodies every other month and spending time with my son looking through our craft box to see what projects we can create relevant for the season/theme holiday. 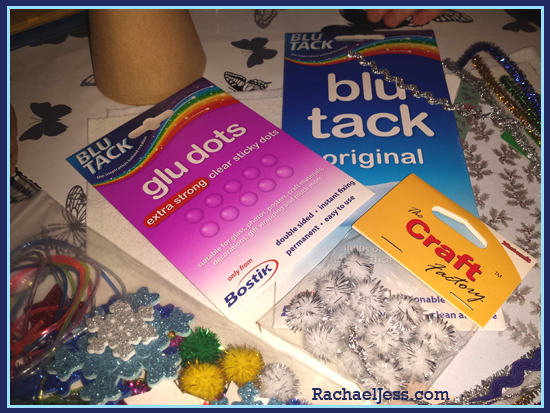 This month we received a wonderful array of goodies as always and because there is lots of glitter and shine we decided to make and decorate baubles. I found this was a great way of adding anything and everything you want and it fitting in perfectly. 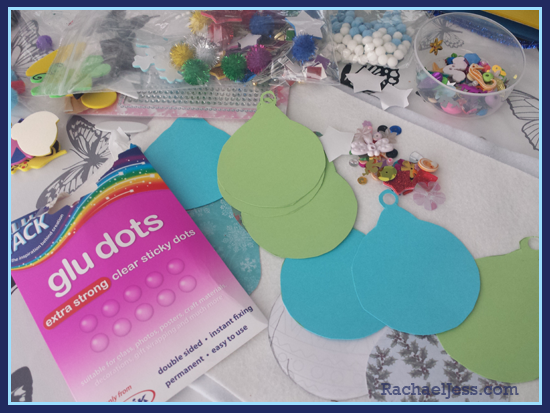 Before I let Max loose with glue and stickers, I cut out several bauble shapes on both patterned and plain cards and pierced holes in the top ready to hang once complete. 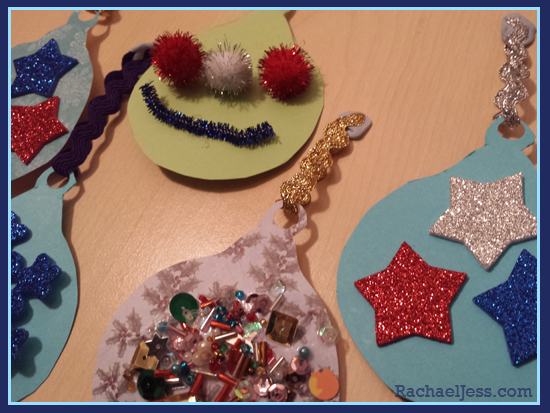 With the cards cut, I let Max loose with all his crafting pieces, stickers, pom poms, glue and glue dots. 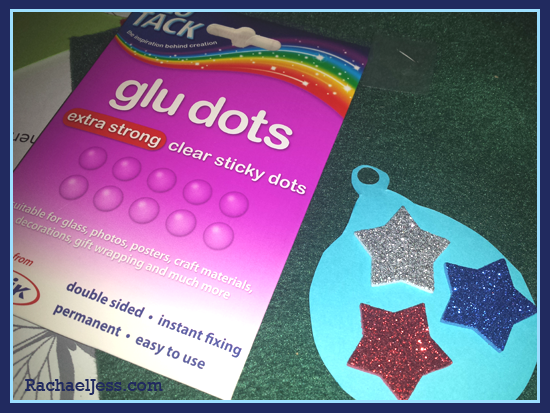 With the glue dots, the sticking and decorating is instant which I love. I added these dots to some of the cards for Max as these were a bit fiddly for him at 3 years old, he then chose how to decorate them himself. Once our baubles were decorated we added some pretty ribbon through the top, I say we, but this isn't messy enough for my boy so he'd wandered off at this point leaving me to finish off the decorating and hanging up the balls. I use Bostik's infamous blu-tack to hold the ribbon together and stick to our cupboard. So there we have it, if it involves, glue, glitter and stickers I know it's going to be a hit in our house. 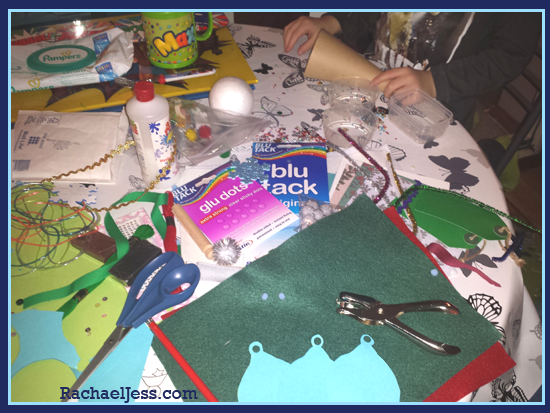 I'd love to hear what crafting projects have been happening in your household too - do you children seem to have more fun the more mess there is? I received a parcel of craft goodies.